The first full trailer for the hugely-anticipated GLASS drops soon which is a sequel to M. Night Shyamalan's SPLIT and UNBREAKABLE! PLOT: Security guard David Dunn uses his supernatural abilities to track Kevin Wendell Crumb, a disturbed man who has 24 personalities. 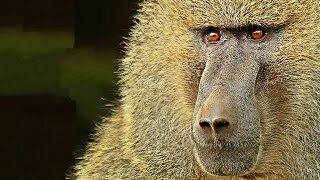 Alecia Carter: Why Don\'t Baboons Have Culture?